Sometimes, it seems to be a universal agreement that Law and Order: Special Victims Unit is one of the best, or the best, crime shows on TV. The true crime stories, piece-by-piece investigations, and variation of characters makes for a true hit. 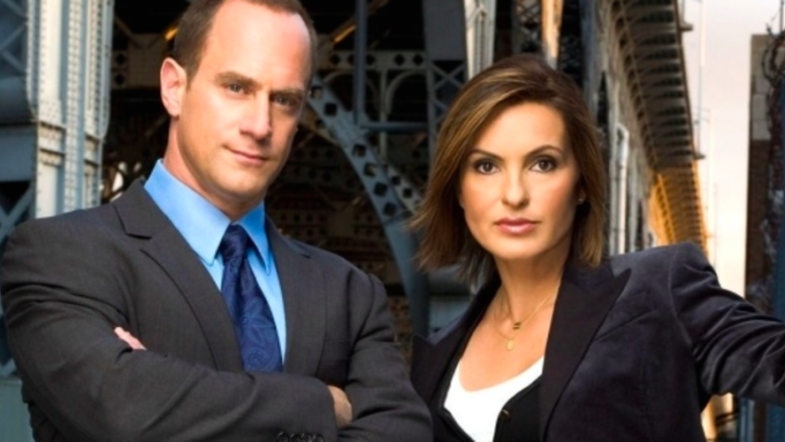 After all, detectives Benson and Stabler are as classic as PB&J or mac and cheese. You won’t catch the duo in the newest episodes, but the reruns are always on to fill our ears with that notable, dong dong. From dark suspects to various persons of interest, it’s easy to start feeling like a sleuth yourself. SVU sort of trains you to pick up on body language, keywords, tone of voice, and mannerisms that allow you to use process of elimination to make a conclusion. You get to play detective while stepping into the inner psyche of a killer. SVU answers the question of why these people commit the crimes they do and how they do it. So if you can’t get enough hard questioning, justice, and badass detectives, here are five books to get your Law and Order fix off-screen. This psychological thriller is bound to give you goosebumps, especially if you take public transportation. Zoe’s daily routine of getting to work by train soon takes a sharp and disturbing turn when she finds out women who take the same line as her have been victims of crime. From assault to murder, Zoe soon finds clues that she could be next and the stranger on the train car might be a little too close. An investigative nonfiction work about the real search for a killer still at large on Long Island. From police documents to news coverage, the world of online escorts is turned upside down in this work. Here, we see the dark dangers and threats to the women who make a living this way. We get a powerful account on the five women who fell victim to the dark side, the ones who never got their justice in an idyllic part of America. This ain’t for the faint of heart, but if you’re feeling like Olivia Benson, you better get on the case. When a series of vicious crimes pop up where two people are abducted, imprisoned, and forced to decide who lives and who dies, detective Helen Grace is on the move. These patterns are the worst she’s seen, and she’s been through a dark past. But when clues begin to fall in place, the truth seems more terrifying than the crime. For those who are willing to delve deep into human behavior in the face of pressure, this novel fits you well. When two well-off families sit down to have dinner one night in a nice restaurant, forced conversation acts as a mask for something darker. Both of their teen sons have recently committed a horrific crime that the police are investigating. As the dinner culminates, little cues, mannerisms, and hidden thoughts bubble to the surface. As civility slips away, the human hunger to protect your own sets in. Totally psychological. A recent adaptation in October 2017, this crime novel is a chiller and a thriller that seems to snowball out of control. The story begins with a young boy waking up to find that his mother has disappeared. All he has left is the pink scarf he gave her that was wrapped around a snowman’s neck, one that showed up mysteriously on his lawn after a recent snowfall. Local detective Harry Hole takes on the case and finds links to suspicious letters he’s been receiving. After digging into the past, he’s found other women who have vanished at the first snowstorm of the season. Harry finds his sanity starting to freeze over. Read it as a seventh book in Nesbo’s series or as a standalone, this one is damn good. Where are Benson and Stabler when you need them?